Charles Townshend (28 August 1725 – 4 September 1767) was a British politician. 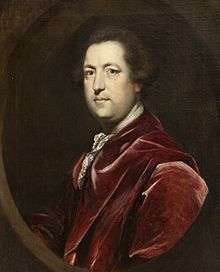 He was born at his family's seat of Raynham Hall in Norfolk, England, the second son of Charles Townshend, 3rd Viscount Townshend, and Audrey (died 1788), daughter and heiress of Edward Harrison of Ball's Park, near Hertford; she was reportedly a lady who rivaled her son in brilliance of wit and frankness of expression. He was a sickly child, suffered from epilepsy, and had a strained relationship with his parents. Charles graduated from the Dutch Leiden University on 27 October 1745; while there he had associated with a small group of other English youth, who later became well known in various circles, including Dowdeswell, Wilkes, and Alexander Carlyle. The latter would chronicle their exploits in his Autobiography. Following his return, he represented Great Yarmouth in Parliament from 1747 to 1756, when he found a seat for the admiralty borough of Saltash, subsequently transferring in 1761 to Harwich, another borough where the seat was in the government's gift. Public attention was first drawn to his abilities in 1753, when he delivered a lively attack, as a younger son who might hope to promote his advancement by allying himself in marriage to a wealthy heiress, against Lord Hardwicke's marriage bill. Although this measure passed into law, he attained this object in August 1755 by marrying Caroline Campbell (d. 1794), the eldest daughter of the 2nd duke of Argyll and the widow of Francis, Lord Dalkeith, the eldest son of the 2nd duke of Buccleuch. In April 1759, Townshend was transformed from the position of a member of the Board of Trade, which he had held from 1749, to that of a Lord of the Admiralty, but at the close of 1755 his passionate attack against the policy of the ministry, an attack which shared in popular estimation with the scathing denunciations of Pitt, the supreme success of Single-Speech Hamilton, and the hopeless failure of Lord Chesterfield's illegitimate son, caused his resignation. In the administration which was formed in November 1756, and which was ruled by Pitt, the lucrative office of treasurer of the chamber was given to Townshend, and in the following spring he retired and George Grenville accepted the cares of official life, the higher post of first lord of the admiralty fell to Townshend's lot, but with his usual impetuosity he presumed to designate one of his satellites, Sir William Burrell (1732–1796), to a place under him at the board, and the refusal to accept the nomination led to his exclusion from the new administration. While in opposition his mind was swayed to and fro with conflicting emotions of dislike to the head of the ministry and of desire to share in the spoils of office. The latter feeling ultimately triumphed; he condescended to accept in the dying days of Grenville's cabinet, and to retain through the "lutestring" administration of Lord Rockingham "pretty summer wear," as Townshend styled it, "but it will never stand the winter" the highly paid position of paymaster-general, refusing to identify himself more closely with its fortunes as Chancellor of the Exchequer. The position which he refused from the hands of Lord Rockingham he accepted from Pitt in August 1766, and a few weeks later his urgent appeals to the great minister for increased power were favorably answered, and he was admitted to the inner circle of the cabinet. The new chancellor proposed the continuance of the land tax at four shillings in the pound, while he held out hopes that it might be reduced next year to three shillings, whereupon his predecessor, William Dowdeswell, by the aid of the landed gentlemen, carried a motion that the reduction should take effect at once. This defeat proved a great mortification to Lord Chatham, and in his irritation against Townshend for this blow, as well as for some acts of insubordination, he meditated the removal of his showy colleague. Before this could be accomplished Chatham's mind became impaired, and Townshend, who was the most determined and influential of his colleagues, swayed the ministry as he liked, pledging himself to find a revenue in America with which to meet the deficiency caused by the reduction in the land tax. 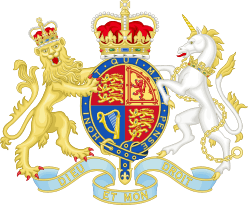 His wife was created (August 1767) baroness of Greenwich, and his elder brother George, the 4th viscount, was made lord-lieutenant of Ireland. A witty speaker in the House of Commons, his "champagne speech" was particularly remembered. His last official act was to pass through parliament resolutions for taxing several articles, such as glass, paint, paper and tea, on their importation into America, which he estimated would produce the sum of ₤40,000 for the English treasury: the Townshend Acts. He had the support of his cousin Thomas Townshend who was also a minister in the government. Soon after that he died somewhat suddenly on 4 September 1767. The American towns of Townsend, Massachusetts and Townshend, Vermont were founded and named after Charles Townshend in 1732 and 1753, respectively. This article incorporates text from a publication now in the public domain: Chisholm, Hugh, ed. (1911). "Townshend, Charles". Encyclopædia Britannica. 27 (11th ed.). Cambridge University Press. Lee, Sidney, ed. (1899). "Townshend, Charles (1725-1767)". Dictionary of National Biography. 57. London: Smith, Elder & Co.